No.171, Upper Pansodan Rd, Yangon, MM Mingala Taungnyunt All cakes except for the Cake of the Day will require 24 hours advance order. Blueberry cheesecake dessert with a light and creamy no-bake cheesecake layer. Moist, rich, chocolatey perfection, something that every chocolate lover should taste. The fresh mango in this cheesecake makes its taste absolutely sensational. A chocolate cake, or torte invented by Austrian Franz Sacher in 1832 for Prince Wenzel von Metternich in Vienna, Austria. It is one of the most famous Viennese culinary specialties. Layers of cream, cherry and chocolate make this a lip-smacking creation. Light, fluffy texture with a tweak. Made with layers of almond sponge cake soaked in coffee syrup, layered with ganache and coffee buttercream, and covered in a chocolate glaze. Delicious cheesecake that includes a layer of cream cheese and brownies. This mocha cake is delicious mix of vanilla, coffee and dark chocolate. The three delicious aromas combine for a rally memorable cake. Buttery almond cake with lemon curd baked inside. A super-moist white cake with creamy blueberry mousse and blueberry jelly-it will be a talking point! This delicious, lemony yogurt cake is studded with blueberries. Freshly chopped apples meet caramel scrumptiousness in this delicious recipe. This lightened up chocolate cake uses bananas to keep it moist, and has just the right amount of chocolate to make it feel like an indulgent treat. Shades of chocolate, these cakes are as pleasing to the eye as they are to the sweet tooth. A fragrant and moist pandan-coconut cake. This elegant, fruity tart is the perfect way to showcase all the fresh fruit which are on offer. A delicious moist sponge cake bursting with juicy, fruity flavor with apricoture. Enjoy layers of mango and vanilla chiffon filled with Italian icing and mango jam and decorated with mango marshmallows. Delicate layers of sponge cake filled with sweet-tart mango mousse make a beautiful cake that will wow your friends. This mocha cake, a delicious sponge cake, layers of an Italian special cream, a classic Italian cake, a delicate creamy dessert recipe. This citrus cake, crumbly and divine, is a grame changer! Visibly soft and unassuming, it has heartwarming flavors of orange and lemon tucked inside every crevice. A mouth-watering sponge with a wonderfully gooey peanut butter and caramel filling. Traditionally a red or red-brown layer cake - is so much more than a white or chocolate cake tinted red. This easy summer bake is guaranteed crowd-pleaser. Strawberry tart with vanilla pastry cream and fresh strawberries in a delicate cookie crust. This creamy strawberry cheesecake is perfect for any special occasion - the stuff cake dreams are made of! Layered cake with a brownie base, topped with creamy strawberry cheesecake mousse and a strawberry gele'e. It has beautiful textures and presentation. Strawberry jello cake recipe is the all-time favorite spring and summer dessert: strawberry shortcake, strawberry jello and no-bake cheesecake. For the strawberry lover! 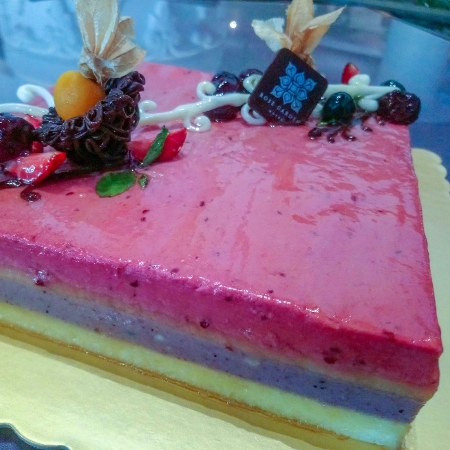 This cake is loaded with strawberries, starting from the sponge cake base, a double dose in the strawberry mousse and more berries to finish off the top. This double chocolate cake recipe is perfect as a birthday cake, party cake or for afternoon tea. Mixed bag of flavors: vanilla, chocolate, coconut and chocolate.